Public Transportation: The office is located one block west of the 19th Street BART station (Telegraph Avenue exit) and near numerous AC Transit bus lines. Bay Area Legal Aid’s Tenant’s Rights Line provides legal assistance to Alameda County residents only. We cannot guarantee that an attorney will represent you in your case, but we will provide advice and referrals to individuals who qualify for our services. 2-1-1 is a free and confidential service, available 24/7 and in all languages, that helps connect residents to other Alameda County agencies and resources. 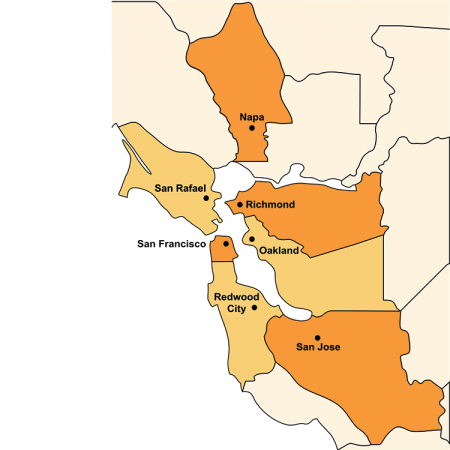 Bay Area Legal Aid offers monthly Consumer Rights Clinics in South Alameda County, as well as monthly Housing Know-Your-Rights training throughout the county. Click here for clinics in all Bay Area locations.